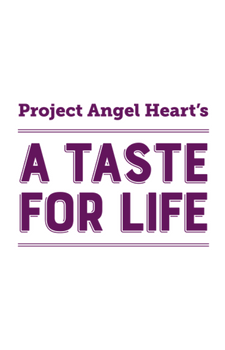 A Taste for Life, happening November 1 at the Hyatt Regency Denver at Colorado Convention Center, will bring extra flavor to your taste buds this season! Several award-winning restaurants will be in attendance, serving inventive tastes to benefit Project Angel Heart’s home-delivered meal program. From old favorites who’ve partnered with our event in the past to new eateries, this year’s tasting stations are sure to amaze. Restaurants in attendance again this year include Vesta, Panzano, and Biker Jim’s Gourmet Dogs. Focused on fire-grilled meats and vegetables paired with signature, house-made sauces, Vesta has been rated Open Table’s “Diner’s Choice” as well as “Best First Date Spot in Denver”. Panzano specializes in Northern Italian cuisine and focuses on sourcing local, organic ingredients in all of their dishes. And Biker Jim’s Gourmet Dogs is known for crafting hot dogs with exotic meats such as reindeer, wild boar, rattlesnake, pheasant, elk, buffalo, antelope, and even jack-a-lope. The real factor sure to impress is Biker Jim’s crafty flavor combinations. Their signature dogs have been an annual favorite and we are excited they’ve decided to join us again this year! New additions to the menu in 2018 include Avelina, Beckon | Call, Carmine’s on Penn, and Turtle Boat. Avelina’s executive chef Joshua Oakley specializes in seasonal, new-American cuisine and has 10 years of culinary training from the Gastronomical Cooking School of Agde, France, which earned him Westword’s reader’s choice award for best new Denver restaurant in 2017. Specializing in fresh, vibrant food and drink, Beckon | Call has been recognized as a top new restaurant both locally and nationally. Carmine’s on Penn, a Denver favorite for family-style Italian, will not only provide a tasting station- they’ll also offer A Taste for Life attendees the chance to win a private dinner party for 25 during the live auction! And lastly, Turtle Boat is sure to provide fresh green options with their creative Colorado Poki Salads. Poki salads may be a Hawaiian specialty, but Turtle Boat serves them with a unique and tasty Colorado spin. This just skims the top of our restaurant list for A Taste For Life. See the full list of tasting stations and purchase tickets here. This entry was posted in A Taste for Life, Events by Hannah Koschnitzke. Bookmark the permalink.